Since ancient times, people would sit around in small groups to play rudimentary versions of the card games we know and love today. As they figured out the permutations and possibilities, they became better at creating strategies and were more invested in playing these games to win. Eventually, money got involved and this upped the stakes further, thus becoming a great motivator for more players to participate. 13 cards rummy is one such game that remains a crowd favourite and is gaining popularity, even in recent times. Today, you can play free online rummy card games on various platforms, one of the best ones being RummyCulture. Get the 13 cards rummy game free download for Android and you can even play it on your smartphone or other devices on-the-go. Now, let’s learn more about the 13 card rummy game. Another name for the 13 Card Rummy game is ‘Indian rummy’. This version of the game is played with a minimum of two players and a maximum of six players. What you need is two decks of cards of fifty-two cards each and two jokers. The card dealer of this 13 card game begins by randomly dealing thirteen cards each to every player. At every turn, each player either picks a single card from the closed or open deck, or discards one card which he has in his hand. The aim is to create two or more sets or sequences using the thirteen cards in hand. Doing this successfully before the others is what dictates who wins at the 13 Card rummy game. One of the 13 card rummy rules is that the player who wins must have one pure sequence. This is one with three or four cards of the same unit, excluding the joker. The other sets, however, can be impure or include the Joker. These tricks have been noted by seasoned players of the 13 card game online. Use them to become more meticulous and mindful of doing things in a proper order or sequence. If you have more than one joker, then don’t worry. The rules of 13 card rummy state that you need one pure sequence to win. After you have made this set, you can utilise the joker card in the second sequence. You can convert someone’s trash into your treasure in a 13 card rummy game. Try and hold on to cards closest to the ones being picked by the other players. This will reduce their chances of completing a set, significantly. Waiting for a card to come your way is not always a winning move. You must instead keep two or more options in hand. Re-evaluate your odds at all times and build your set accordingly. As you play the 13 card rummy game, you are sure to have your own insights. The points shared above are meant to explore those insights further and get you started. 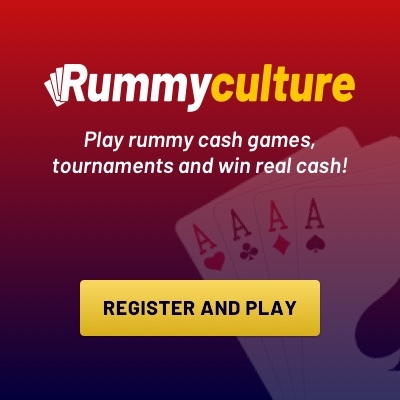 Make sure you visit RummyCulture often or download rummy to get in on all the action and win cash too!